Market advantage – Tap into a market with outstanding potential. Business advantage – Get rewarded with lower expenses, price premiums and increased profitability. Transition advantage – Gain knowledge from numerous resources for a smooth transition. The Organic Value Chain Round Table (OVCRT) has published 3 documents to support transition of non-certified growers to become organic. 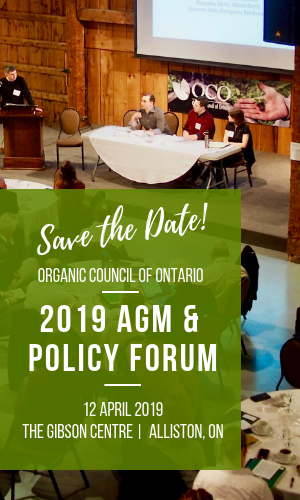 The Organic Council has long been an active participant in the activities of the OVCRT representing Ontario’s interest to the federal group. OCO is making the documents available electronically and as a hard copy.